The Camp Harbor View fishing trip was a great day. We couldn't ask for better weather, and the fish were biting. 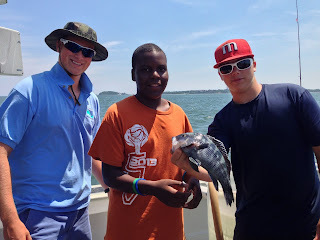 By the end of the day we had reeled in a little over a dozen Black Sea Bass. 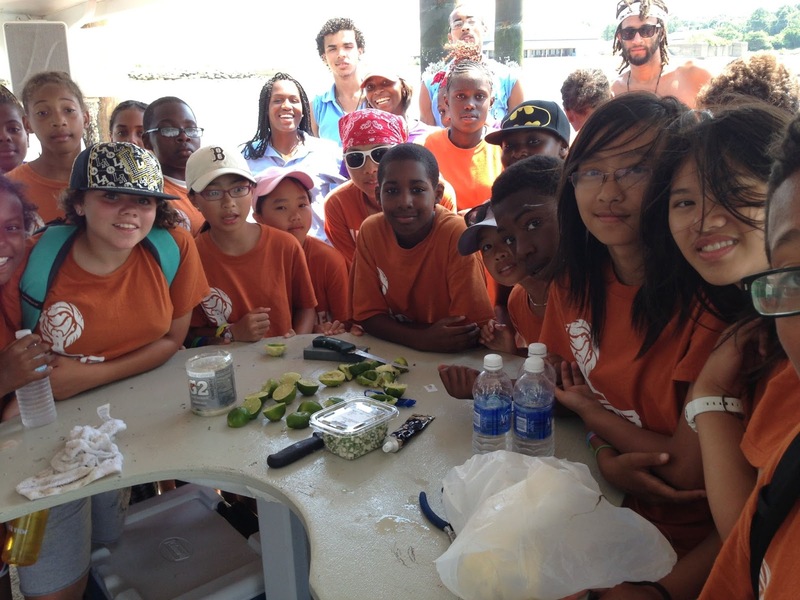 For almost all the campers it was their first time fishing and catching on the harbor. I know for a fact it wasn't their first time on a boat since we had taken the entire camp out on a tour of the harbor. 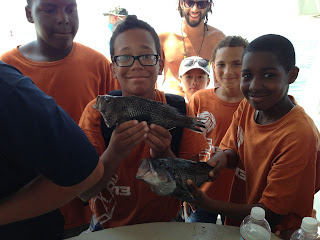 Everyone was excited, and happy for those lucky enough to reel in one of the two keepers that day. Young anglers showing off the two Black Sea Bass keepers!